Comments for From snorting to shooting anything! My husband and I are struggling, we've been married 25 years and he drinks and I do meth. It's not everyday but sometimes it's 4 days it's crazy I'm sick of the feeling after the fact. The Lord will hear and answer your prayer if you seek Him. 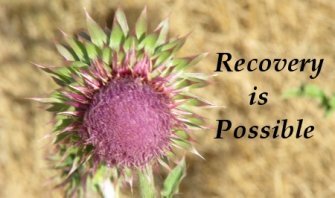 Overcoming your addiction alone is almost impossible so you MUST seek help. You use again because your brain is telling you to. Meth addiction is a disease of the brain and you must reprogram your brain to no longer need meth. That's what the 12 step groups are for. Your husband brain NEEDS alcohol and your brain needs methamphetamine. But a power greater than both of you can restore you to sanity if you allow it to. Start going to AA or NA meetings and begin working the steps. Step Two is SO powerful and will give you HOPE if you focus on it. Growth is the goal with the 12 steps and you can begin to go to meetings even if you're still using. I would recommend you go to meetings daily and you will find that if you work the steps they will begin to help you to learn to get control of your life back from your addiction. Hopefully, your husband will begin his journey as well once he sees how well you are doing.